Ideal for 0-4 months old babies. Extra-large supersoft bamboo muslin square. 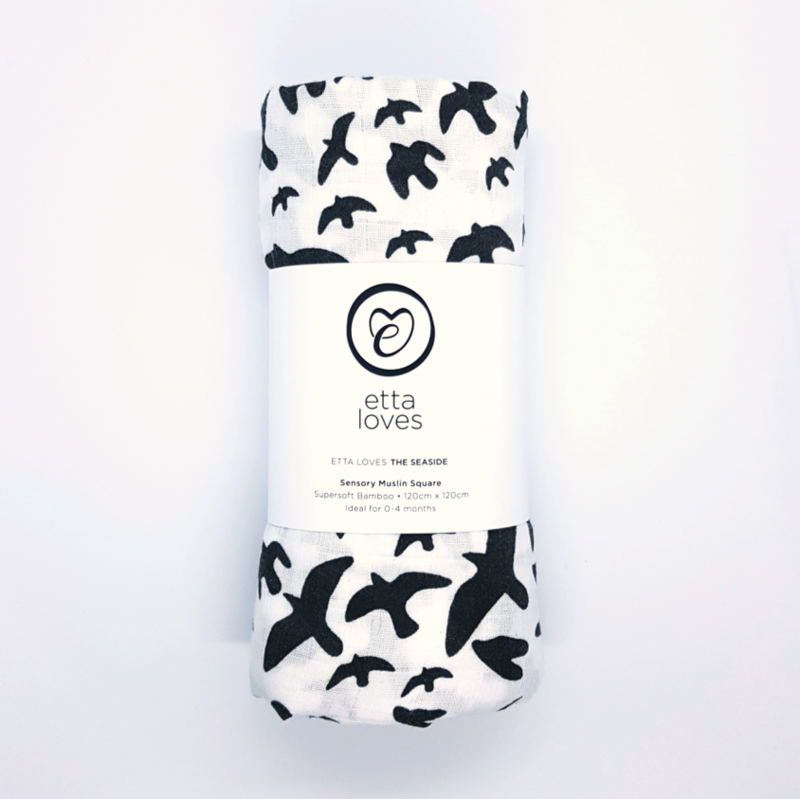 High contrast black and white pattern, designed specifically to aid 0-4 month old babies’ cognitive and visual development. The seagull pattern has a scale within it to suit both younger babies and older ones too. Not to mention how stylish it looks on anyone’s shoulder. Pack includes 1 x seagull print muslin.